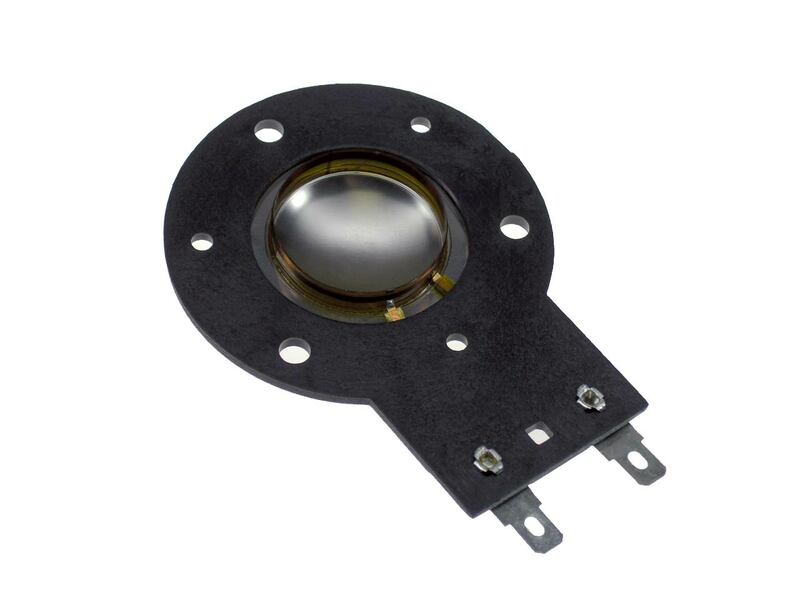 This diaphragm was used to update a Klipsch center channel speaker purchased in the 1990s. The sound is as good or better than new. This was the 2nd diaphragm I purchased cause when I installed the 1st one it sounded amazing, and so much better than the one that was working, that I realized it wasn’t working as it should be either so I ordered a new one for it as well. Now they both sound beautiful and perfect!!! These replacements are actually better quality than the klipsch originally installed and I’m a huge klipsch fan and believe in there quality so to say these are better is saying something. They truly brought my speakers back to life. Also just wanted to thank the folks at Simply Speakers for their assistance and help. I actually received the second diaphragm and not sure if something happened in shipping or what but it didn’t sound right. Anyway I emailed the customer service and received a reply that very day on a Sunday stating that they were shipping another part at no cost to me. The staff is very helpful and knowledgeable and far as I’m concerned they are the best in the business and have the most quality parts available. THANK YOU AND HAPPY NEW YEAR!!! I’ve used these before and they’re quite good. Unfortunately this time the install went south, no problem of the product, and I lost the vintage horn tweeter. Magnet swarmed. I’ve NEVER had a magnet swarm!! But the unit was old and I don’t know it’s history. I would definitely use these again, but I don’t see many set ups like I repaired of these, and doubt I ever will again. The Klipsch RF-3’s are a very, very good speaker. I don’t know how long my tweeter had been dead on the left side, but after replacing them both with this diaphragm, I barely recognize them - in a really good way. It could have been years ago that they got hurt and this whole time I thought I needed room EQ...lol. It is a simple enough DIY job - just used a torx driver and just thin / needle nose pliers worked fine to take off the fiddly nuts on the horn / magnet. PITA to get those nuts threaded again (stupid magnet! ), was the worst part. Wow do these image nicely again. Maybe 60% of the audio spectrum comes through these things, so they matter tons. Do them in pairs just to be safe. Won’t regret it. very good service: I got question and found the answer from SS within a day. I enjoyed the free shipping and tax. The D-K100Ti diaphragm working fine for my Klipsch KLP10 speaker. Just 2 things to pay attention: it's mirrored to the original one so the +/- sign were swapped, it's also little shorter so I had to install non-conductive tape on the metal magnetic driver to prevent short. The twitters that we ordered were as we had expected and even more. They work just great and were very easy to install. Q: Will this work on a Klipsch RF-3 speaker? A: Yes, this is the correct diaphragm for the Klipsch RF-3. Q: Are these compatible with Klipsch KG4's? A: We normally use the D-417 for the KG4. However, some customers prefer the sound of the Titanium diaphragm so they use the D-K100Ti instead. 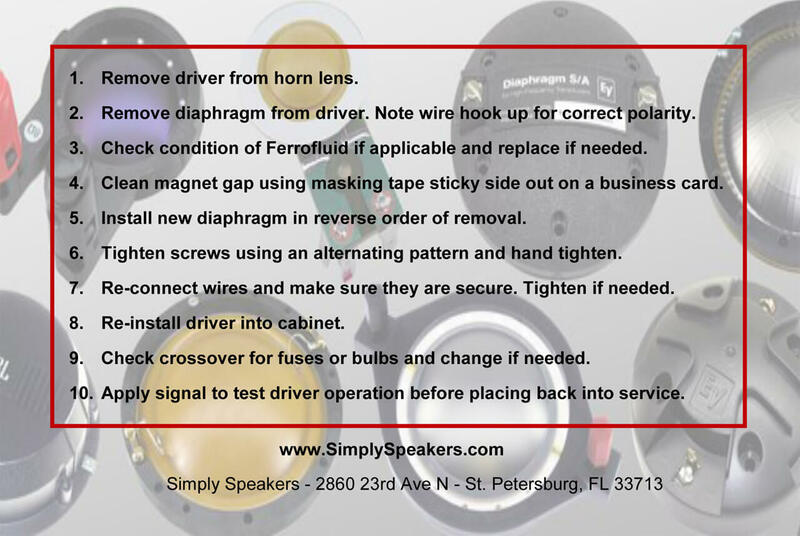 A: Yes, this is the diaphragm preferred for extended high frequency response in the KG4 horn driver. Q: What is optimal crossover frequency for this diaphragm? A: Manufacturer listed as 2kHz at 18dB per octave. Q: Does it fit k 97 kv? A: Your model uses Klipsch diaphragm part # D-417. Q: I have RF 3 towers purchased around 2000, will the K100 Ti replacement improve the clarity of the horns? Mine are sounding tired. Thank you. Klipsch towers. A: Thanks. Yes, if the diaphragms are sounding weak, then the D-K100Ti is the correct replacement for the RF-3 horn tweeters. A: Sorry, no. Please contact Klipsch on this model. If they no longer have parts, you might try sites like eBay. Q: Will these fit the Rb 35 as a tweeter replacement? A: Sorry, no. You need Klipsch part # KLP-160748. Q: Whats the part number for the RF-3 tweeters and woofers i need both? 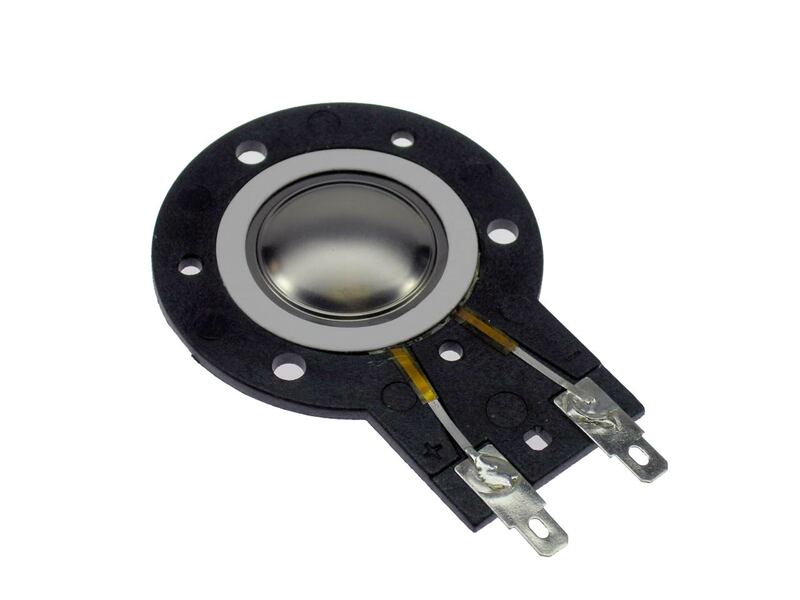 A: For the tweeter, we sell the diaphragm (voice coil assembly). The part number is D-K100Ti. The woofer is K-1083 but is no longer in production. 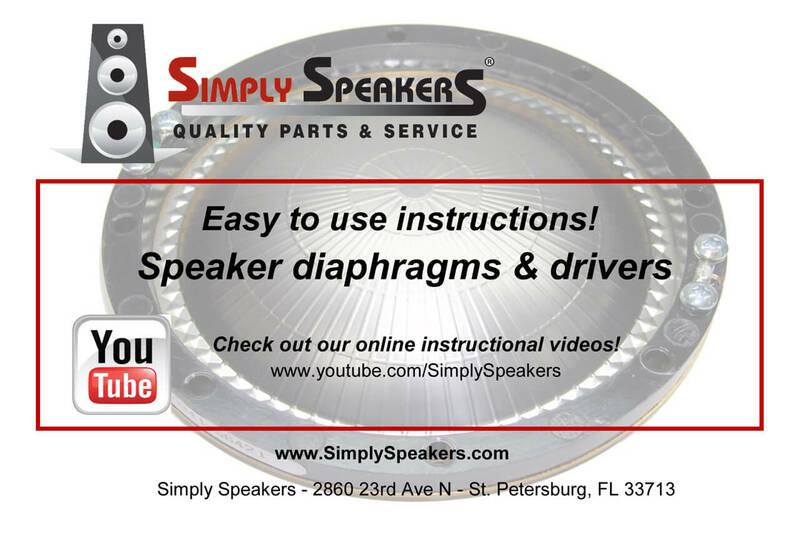 A: For your model K-85-K, we use diaphragm replacement part # D-417. Thanks! Klipsch: K100, K100-Ti, K-100Ti, K 100Ti, K101-S, K-101-S, K 101S, K-107-K, K-105-K, K-119, K-119-KB, K-124-K, K124-K, K-124-Ti, 129086, RF-3, RF-3 II, RF3, RF3BK, RF5, SF-2, SP1, SP-1, SP 1, and many more!